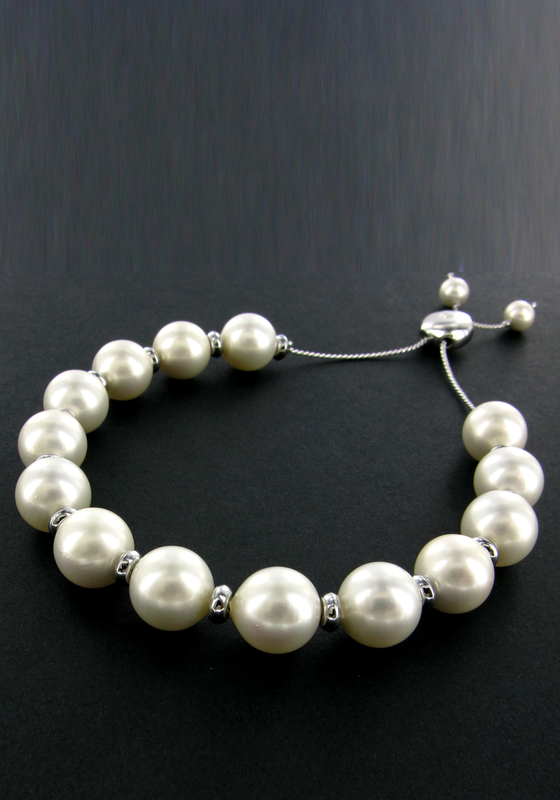 Nour London present an elegant faux pearl bracelet. 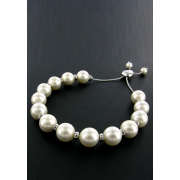 A beautiful bracelet with white pearls and small silver plated dividers between each pearl. This bracelet has a pull chain closure so fits all sizes.